On this wild westland beach, a Sunday Market was being held. Quite a lot of interesting items but we just had a spring roll and a fresh fruit icecream. There was a singer in this market who was absolutely awful so we were glad to get out of hearing range! 1. The van ahead of us ran over a speeding weka (NZ bird) who was obviously trying to take a selfie under a car. They turned around and came back distressed it might be injured. Fortunately, main man had put it out of its misery! 2. Dinner at a seaside restaurant and sitting outside we were sharing only one jacket. The waitress came back with a jacket that belonged to her husband (who was away) and loaned it to us! 3. Power at our new camping spot so we can recharge all our computers! Tags fox river market, westport. This scene leave me speechless! fav. so dramatic, so moody, so mysterious, so ominous, so.... I just love it. I can see the way the wind was blowing here, very dramatic. A wonderful dramatic image. I’ve always thought really bad singers were family members of the owners, who out of pity let them sing. Ha. FAV for the choice of B&W and superb content! @gilbertwood Funny, it was so hot and a bit humid! I was sweating, Denice! The tones in this shot make me feel cold even though you say it was warm. Oh well. @golftragic I think this photo would be good thinking about shipwrecks and yo ho ho and a bottle of rum! @louannwarren She would be singing -slightly off key in a low tone then all of a sudden, start shrieking - still off key! @maggiemae Absolutely, definitely a yo ho ho setting. Could I please have whisky rather than rum? @golftragic I've only got malt.....will that do? This is such a dramatic and lovely scene! 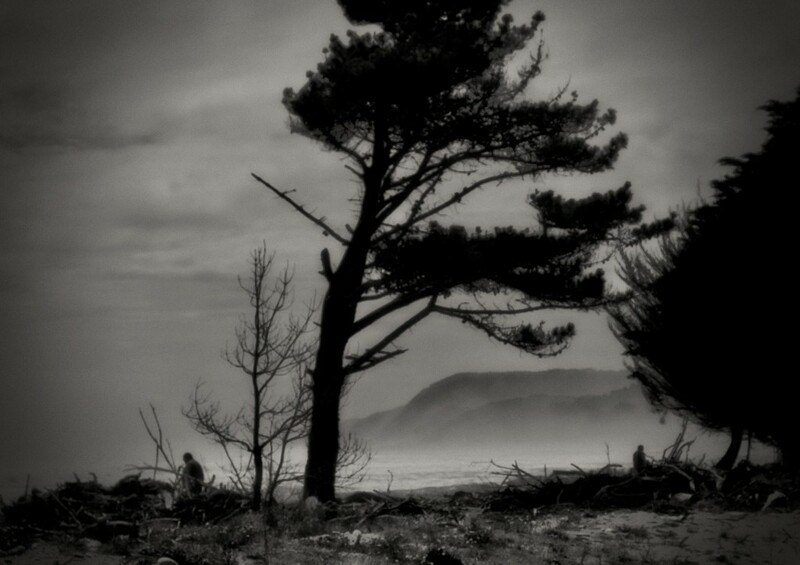 Love this so.love the rolling sea mist..and the dramatic, mysterious feel ..
Looks good in black and white, the tree looks very windswept. Looks extremely windy. Was the Sunday Market held in this weather? Wow love your processing Maggiemae! @sangwann The shot looks windy with that tree bending over but in actual fact, it was calm and hot! @maggiemae Single malt would fill the bill nicely thank you. @golftragic schoree Mmmarnie - schcoffed the lot! @maggiemae Oh dear, selfish, enjoy the hangover! !